Exceeded my expectations. Would definitely be returning again in the future. Property is kept clean with all your basic needs met. Beautiful view of open fields in the morning, would definitely recommend this property to others to stay at. Fits the bill perfectly for the price, for a family of four. Great location for everything within one hour - Longleat 55mns, Bournemouth beach 45mns and a great pub/restaurant nearby - The World's End. Great experience of a real farm stay for the kids. 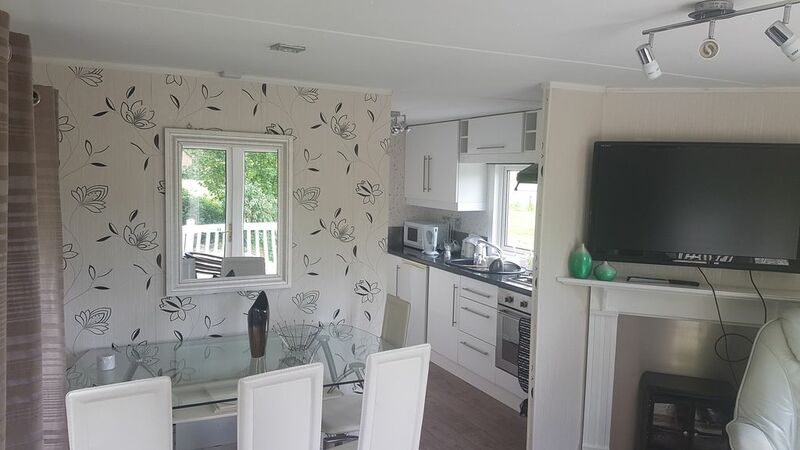 Our family of 4 adults enjoyed this compact, well equipped mobile home. Good value with bedding and towels included. Quiet location. However probably wouldn't recommend the twin and single room beds if you are 6' plus.